Area 11, Handbell Musicians of America, is proud to name Marcy Hontz of Scottsdale, Arizona, and the late Roxanne Hammond of Colorado Springs, Colorado, as its newest members of the Area 11 Ring of Fame. The Ring of Fame recognizes significant contributions of members over a lifetime of service to the art of handbell ringing and will honor the two awardees at a banquet on June 21 in Loveland, Colorado, as part of the organization’s bi-annual festival. Marc y Hontz has been a long-time supporter of Guild activities in both her home state of Arizona and throughout Area 11. Marcy is the quiet worker in the background, making sure every detail was attended to for state, local, and area level events. 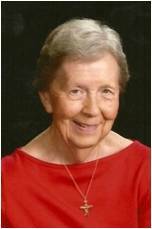 She volunteered in her church, directing both adult and youth handbell choirs and holding handbell workshops and reading sessions. Marcy also encouraged her choirs to ring in local and area festivals. Marcy was key in creating a handbell webpage for Arizona and, later, for Area 11. Under her supervision, the webpage grew to a very usable resource for the Area, and the newsletter increased in readership. After many years in the role of webmaster and newsletter editor for Area 11, Marcy recently retired, but can still be found in many roles in her local church and in Arizona state events. For thirty years, Roxanne Hammond lived her life tirelessly in proclamation of the fellowship that handbell ringing brings by uniting people through the musical art. Roxanne served as chair of Area XI, American Guild of English Handbell Ringers (later Handbell Musicians of America) from 1994 to 1996 and served as chairperson for the annual Southern Colorado Handbell Festival from approximately 1985 to 1991, a highly-successful festival that continues to this day with over 250 ringers, brass, and an audience of about 1200 people. Roxanne’s passion was handbell ringing. 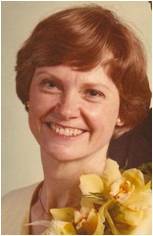 She taught classes at many festivals; she organized ringing opportunities for the community at large; her choirs would ring in churches that didn’t have handbells, with the expressedpurpose of energizing the congregations to get their own handbells; she encouraged her ringers to become directors themselves and to form their own choirs. And she insured that most of her choirs participated in local, state, area and national events. She was a life-long supporter of AGEHR. This honor will be awarded posthumously.